Today, we take a step back to imagine a world without a web of GPS satellites telling your smartphone where you are every second of the day. While this might sound scary, come along and maybe you’ll discover you have a secret sixth sense... one that’s been inside you all along, if you just knew how to turn it on. Pop Quiz: Wherever you are right now, stand up and point southeast. Don’t take out your smartphone. Don’t look at a map. Just stand and point. Ok, now you can check your phone. How did you do? If you’re someplace familiar, near a major highway or river, maybe you did ok. If you’re on the road, somewhere you don’t know well, chances are you weren’t even close. In the grand scheme of human evolution, today’s maps, compasses, satellite enabled GPS networks, and well-marked roads and trails are a new frontier for our species. And this proliferation of new technologies has already fundamentally changed the way we perceive the world. How did we used to get around? You likely already know the most obvious answer to this question: the sun and the stars. The sun rises in the east and sets in the west. If you’re in the Northern Hemisphere the North Star is in the north, and in the Southern Hemisphere the Southern Cross points toward the south. But even assuming you can identify the North Star and the Southern Cross (which…can you?) what do you do if it’s cloudy? What do you do if it’s the middle of the day and you’re close to the equator. If those are the only tools in your toolbox, there are times where navigation is going to get dicey, and you’re going to get lost. 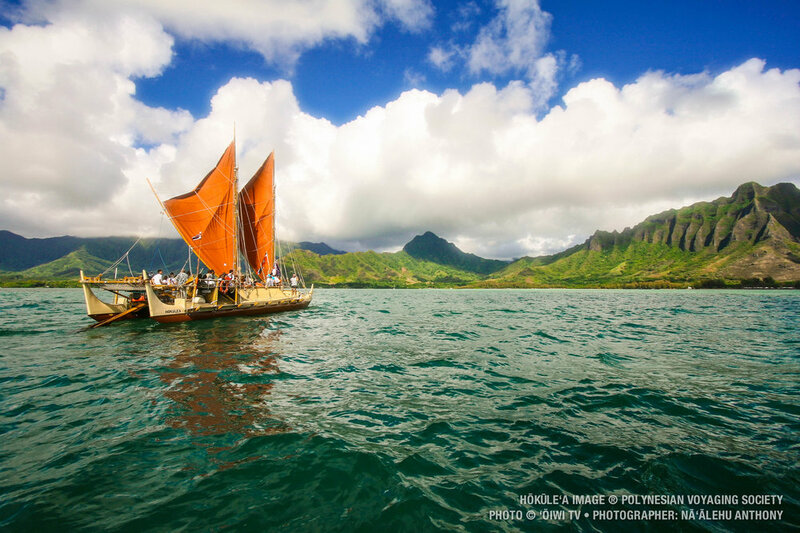 In the 1970s, hoping to rediscover the art of navigating without tools, a hodgepodge of Hawaiian anthropologists and adventurers built a replica of a traditional sailing canoe, which they named the Hōkūleʻa. 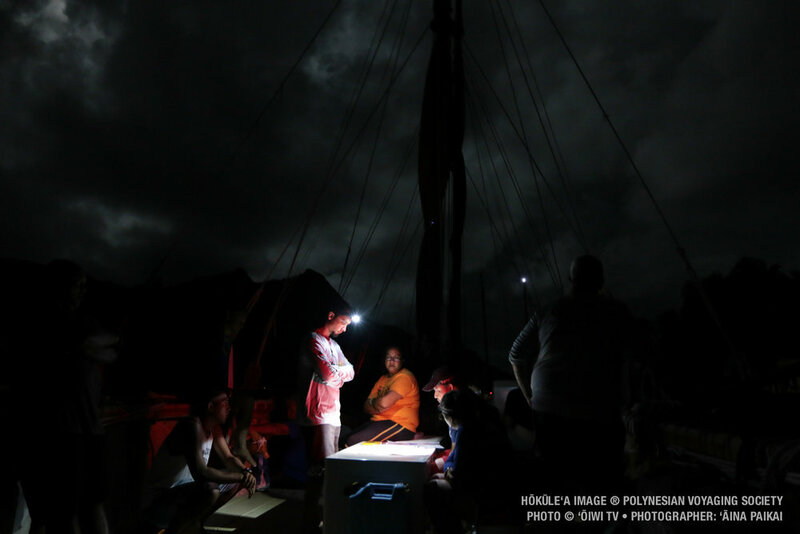 (Hōkūleʻa translates as “Star of Joy” and is the Hawaiian name for Arcturus, a star which—at the latitude of Hawaii passes—directly overhead every 24 hours.) 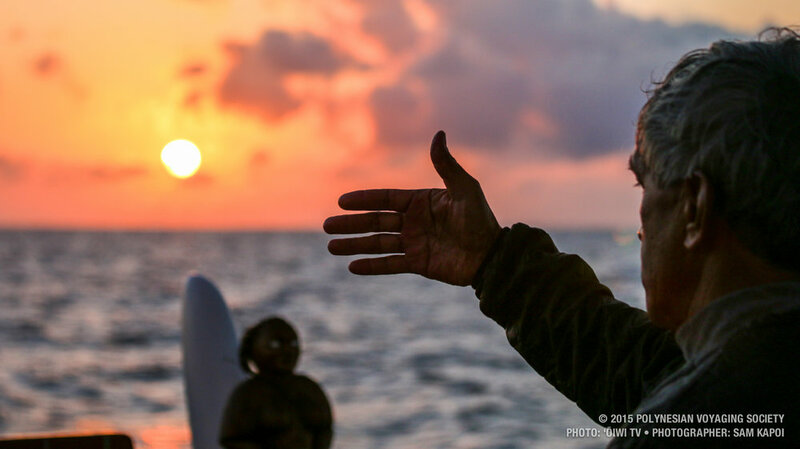 Leading the way was a man named Mau Piailug - a fisherman from the tiny atoll of Satawal in Micronesia who still knew the traditional art of navigation. 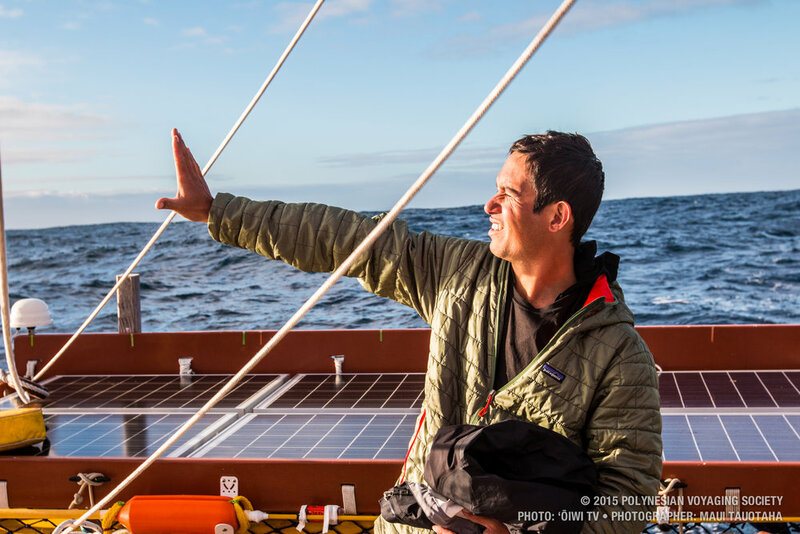 Over the course of more than three decades, Piailug taught a new generation of Hawaiians how to navigate over long-distances at sea. 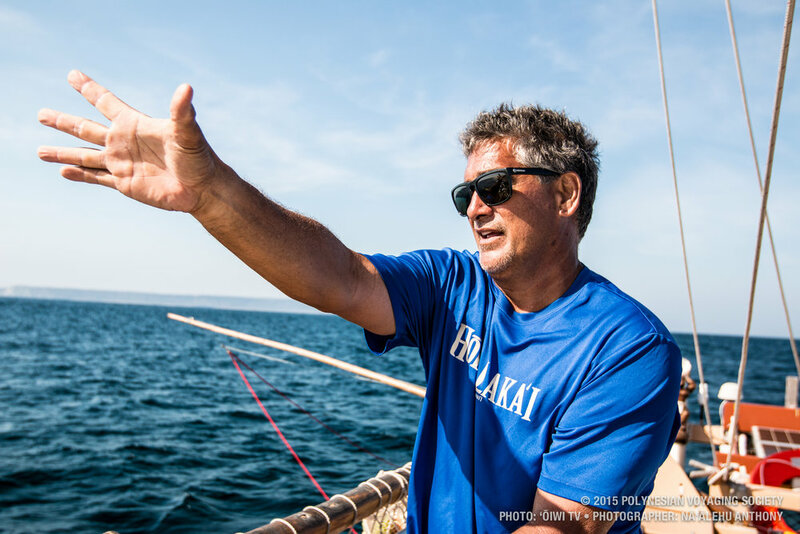 With him—or his students—as captain, the Hōkūleʻa made a number of voyages without instruments, including a trip from Hawaii to Tahiti and subsequent trips all throughout Polynesia. Today the boat is on a 5 year journey that will take it all around the world. 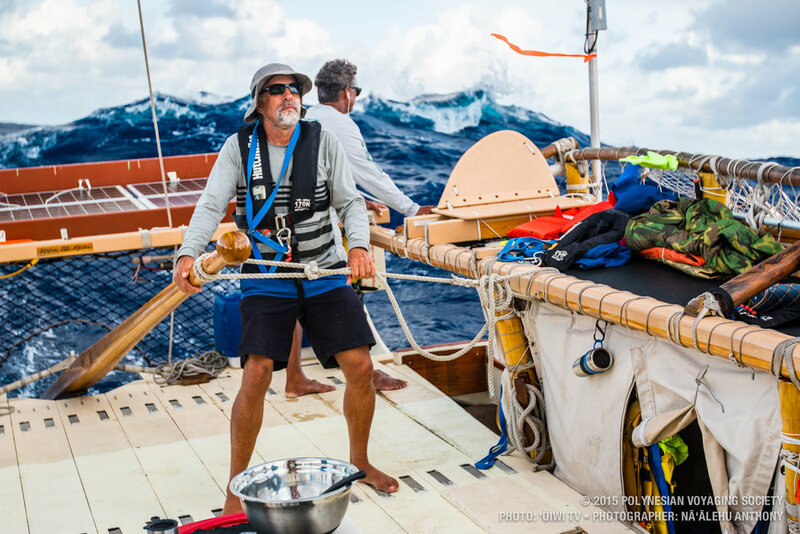 Here’s the short version of how the navigators on-board the Hōkūleʻa find their way. 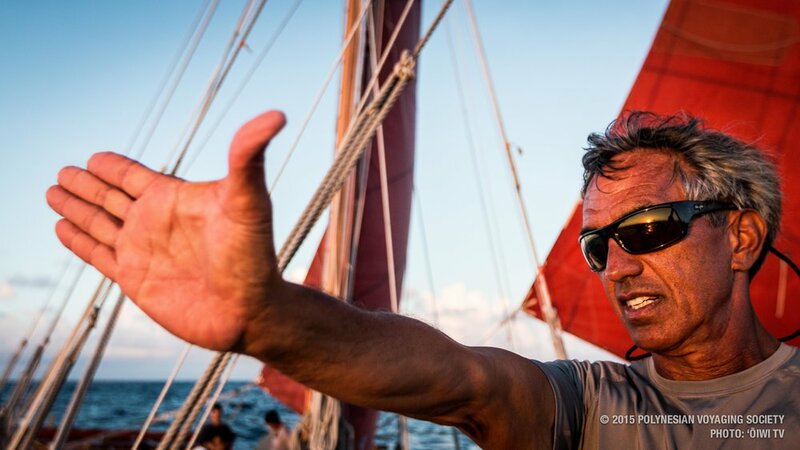 Photo: Courtesy of hokulea.com. Please see watermark for photo credit. You’ve got to know your stars, cold. If you want to sail thousands of miles without getting lost, you can’t only know the North Star and The Big Dipper. Navigators have a list of some 200 stars that they use in navigation. Day to day, they might only need 100 of them, but they know exactly where they rise, how they move across the sky and where they set. Knowing the stars doesn’t just let you know the direction, it can also tell you your latitude. 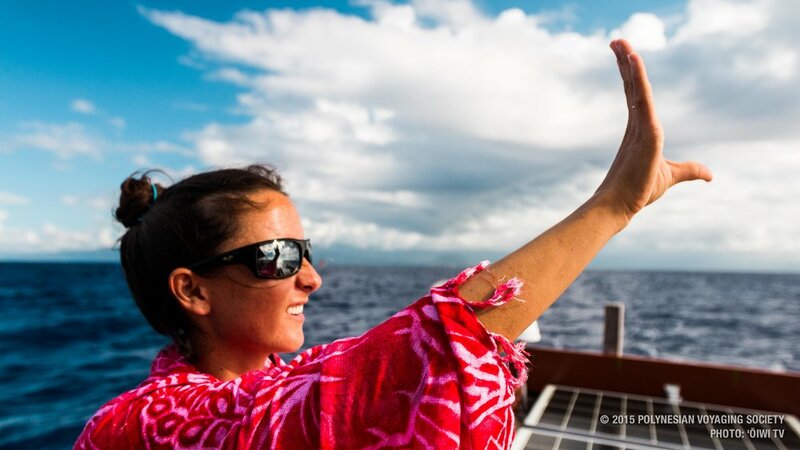 Polynesian navigators use their hands to measure the height of various stars off the horizon. Since every navigator has different hands and different arm lengths, they all calibrate their hands to know how many degrees the width of a finger or the spread from thumb to pinky represents. Think about this. These navigators stand out on the ocean, holding their hands up to the night sky over and over, night after night. They do it, so many times, that they knew exactly how high off the horizon certain stars should be when they hit the latitude they’re aiming for. They knew exactly what the sky should look like when they reach home. You’ve got to be able to read the waves. On the first three days of the Hōkūleʻa’s trip from Namibia to Saint Helena, the boat was completely surrounded by sea fog the entire time. Translation: no stars. Instead the navigators had to rely on being able to see the hazy glow of the sun shining through the fog in the early morning and late evening to orient themselves. In between, they navigated by the waves. Navigators are up at dawn every day observing. Where’s the wind coming from? Where are the clouds? And then, they feel how the swells move beneath the ship in relation to their course. They lock onto that feeling. Try to memorize it. That feeling is their heading. And then when it’s cloudy, or the sun is straight up overhead, they navigate by that feeling. At sunrise and sunset they can take stock again, and adjust course if necessary. You’ve got to pay attention to everything around you. The first sign that sailors use to know they are close to their destination is not when they see the island itself; the first clue is the birds. The crew of the Hōkūleʻa look for two types of terns in particular: one which they see as many as 120 miles from land, and another flies 40 miles out to sea. In general, being a good navigator means constantly paying attention to all the clues the natural world is trying to give you. The direction of the wind, cloud formations, the way the horizon looks at sunrise and sunset. Mao Piailug was said to be able to predict the weather with remarkable accuracy based solely on his observations of the clouds and light at sunrise, and to be able to point to the Southern Cross without a moment’s hesitation whenever asked. Paying attention like this hones your sense of direction until it is genuinely functioning more like a sense. GPS is great, but what have we lost? I am a big fan of GPS, and I’m not saying we should ditch this technology. (I mean, it might be worth tens of billions of dollars to the global economy). But here’s the question you should ask yourself next time you plug your destination into your phone instead of trying to figure things out with good old mental maps and landmarks: what have you lost by letting go of your sense of direction? Technology has fundamentally changed the way we think of “direction”. Paul Puliot, the speaker for the Cowasuck band of the Abenaki people points out that the words for east and west in the Abenaki language actually refer to the location of the sun. “We were either traveling into the sun away from the sun or into the sunset,” he says. Whereas we might think of direction in relation to our bodies, people used to think about direction in relation to the planet. There are actually whole languages that don’t have words like ‘left’ and ‘right’. Instead, if they were going to warn you of danger they might say, “Hey, watch out for that snake to the north of your foot!” And you’d just know where that snake was, because you just know… because you’d been paying attention, your whole life, to which way was which. You’d never get disoriented. The good thing is, it’s not too late to start paying more attention to the world around you, and develop your navigational skills. John Huth, a professor of particle physics at Harvard, decided he would learn how to navigate after being enveloped in a thick fog while kayaking in the Gulf of Maine. He managed to make his way to the shore, but the next day saw on the news that two other paddlers were caught in that same fog, got lost and died. Now he says, “I can look up in the sky and without having to name the names of stars or even having to think about it, I can find my way.” The need to exercise conscious thought to know which direction is which has fallen away. I’m not suggesting that you never turn your GPS on ever again. But consider leaving it off occasionally, and starting to pay more attention to the natural cues that indicate which way is which. Maybe if you do, you’ll start to get your sixth sense back. If you’ve got a question for our Ask Sam hotline, give us a call! We’re always looking for rabbit holes to dive down into. Leave us a voicemail at: 1-844-GO-OTTER (1-844-466-8837). Don’t forget to leave a number so we can call you back. This week’s episode featured tracks from D-Lay, La Venganza de Cheetara, and Podington Bear. Check out the Free Music Archive for more tracks from these artists.